It pays to know your personal style, no matter what your age. That skill can make you feel more confident on a daily basis, allowing you to not worry about how you look—should you ever have been bothered in the first place. However, while we enjoy gleaning some sartorial inspo from more mature fashion bloggers, it's not always clear how they've managed to hone their wardrobes. 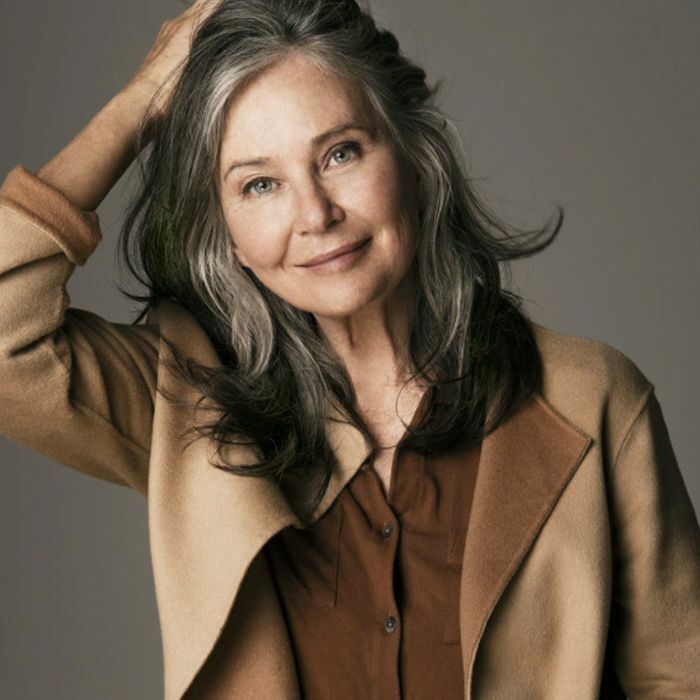 We had the opportunity to speak to 59-year-old model and yoga teacher Lou Kenny, represented by model agency Linden Staub, and she gave us some real, tangible tips on how to get better acquainted with your closet. She's worked in the industry for over 40 years, posing for the likes of Vogue and securing work with super brands such as L'Oreal—it's fair to say she really knows what she's talking about. Not only did she offer us sage advice on what's wasting your wardrobe's time, but she also spoke about how clothes don't make the person—a lesson we're always happy to hear, despite our severe shopping habits. Keep scrolling for the five best tips from Lou on how to dress in your 50s—or any decade for that matter. "I don't like following trends. I get a bit annoyed when people say you have to wear something. I like to follow the beat of my own drum. I might not be the most stylish, but I'm the most confident and comfortable in my own skin." "I've been a bit of a hoarder [of clothes] in the past, however, it's getting a bit better. Thanks to the lack of space, I've had to get rid of things, which is good. It means I give stuff to charity shops and I then buy things in charity shops too. I try to recycle as much as possible." Now it's time to start honing that wardrobe. "I have a few white shirts, and they are my favorites. But I'm also a fan of a black wrap shirt, as it goes with everything and it helps to show off my waist, which I like to do. Jeans and long skirts I can't do without, as I always wear them in the day. And then lately, I love wearing shorts. I wear them all the time. Doesn't matter what kind—fashion or sporty—I'm a big fan. Also, I've got rid of jumpers—really just a shirt and a great jacket are all you need." 4. Don't Be Confined to a Certain "Look"
"I teach yoga, and one of my students said to me some years ago that once you turn 50, you're invisible. I didn't realize it at the time, as I hadn't turned 50, but once I did—bingo—I got what she meant. But it doesn't have to reflect on your own confidence—being older doesn't mean you have to be confined to a certain look. I love wearing bikinis, and my legs aren't the best, but I just love wearing shorts. And you shouldn't have to worry about it." "Garments aren't the only things that make you feel good. I've been practicing yoga for 25 years, and that really helps to maintain my shape and body's function. It's not always about what you put on your body but how you use it." Time to start that wardrobe cleanse perhaps?